In a concession to women’s soccer, FIFA will start funding business-class flights for some of the Women’s World Cup teams travelling to France for next year’s tournament. Total prize money will also “significantly increase” from the $15 million shared among 24 teams at the 2015 tournament, FIFA official Emily Shaw said Thursday at the Women In Sports Law conference. The total sum will be confirmed by the FIFA Council, which meets Oct. 25-26 in Rwanda, she said. FIFA has been urged to close the gap between women’s and men’s World Cups in a new four-year cycle of tournaments and commercial deals that begins next year. 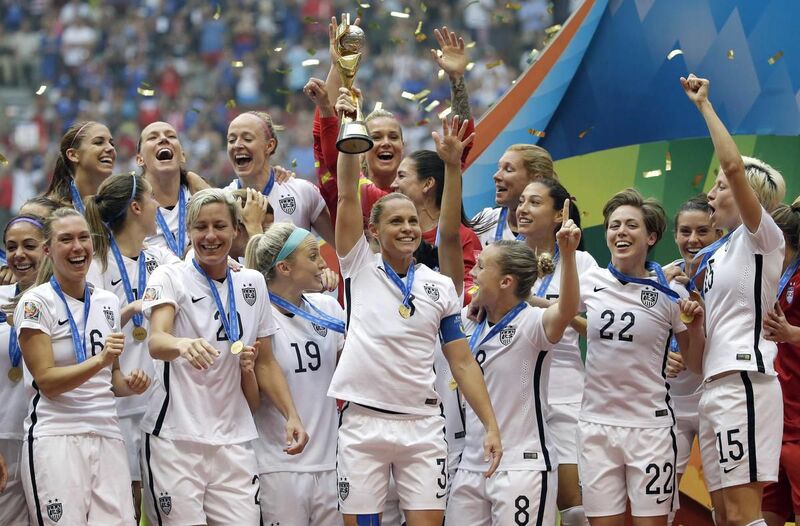 In the current cycle, World Cup champion France earned $38 million (U.S.) from FIFA, while the United States got $2 million for winning the 2015 Women’s World Cup. FIFA has pledged to share $440 million in prize money among the 32 men’s teams playing at the 2022 World Cup in Qatar. At the 2018 World Cup, FIFA offered “business-class return flights for 50 people” to all men’s team delegations going to Russia. The new FIFA pledge to women does not cover all teams going to France. Flight upgrades to business class will be paid except for team flights under four hours, said Shaw, FIFA’s head of women’s football governance. Teams already qualified to play in France include Australia, Brazil, Chile, Japan, South Korea and Thailand. “It is definitely progress and, for those teams that travel enormous distances, it is going to come as a huge relief,” former FIFA Council member Moya Dodd told The Associated Press at the conference. FIFA should increase the women’s prize fund by at least the same $40 million raise in men’s total prize money from 2018 to 2022, she said. “Leaders in sport should not be content to sit back and let the gender pay gap get wider in absolute terms on their watch,” said Dodd, a former Australia national team player. FIFA will also raise standards for the 2019 Women’s World Cup by ensuring opposing teams do not have to stay at the same hotel. Hotel sharing is prohibited in men’s World Cup rules. Shaw announced that change Thursday, and said FIFA also wanted to pay preparation costs for Women’s World Cup teams. Teams at the 2018 World Cup got $1.5 million from FIFA in addition to prize money of at least $8 million each. FIFA also wants to compensate women’s clubs for releasing players to national team duty for the World Cup. FIFA shared $209 million among men’s clubs whose players took part in World Cup games. FIFA president averse to Spanish League games in U.S.
We offer a host of news and information – from breaking news to deep engaging content that puts complex world issues in perspective. © 2018 Estia World. All Rights Reserved.